We offer sight-seeing trips on the ocean and in the rivers. The Pacific Ocean on the cost line of Washington is absolutely breath taking. There is lots of unique rocks and beaches with abundant sea life and water foul like sea lions, sea otters, eagles, puffins and several others. 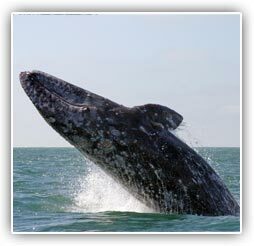 We do see whales on occasion in the spring we see gray whales that are migrating north for the cooler waters of Alaska and feeding along the shores as they are plankton feeders. Later in the year we start seeing humpback whales that are also migrating north. They are small fish feeders so they are were the feed are. Once in a while we do see Orcas (killer whales) they feed on salmon so they typically are further off shore. River tours offer greenery with lots of trees and shrubs with the wild life. The rivers have white water and site seeing combined. Some rivers have more white water than other depending on the amount of thrill seeking a person is into. Along the rivers there are lots of bald eagles and some deer and elk. Tours are usually done in the afternoon evening hours. Tours are seasonal on the ocean mid April - Sept.
Tours on the rivers year round. The Olympic Peninsula in Washington State offers some of the most breath taking sites, whether it be on the Pacific Ocean or it's world famous rivers such as the Quillayute, Sol Duc, Bogachiel, Calawah, Hoh, or Queets. Sight seeing tours are available on the salt water, and on the rivers. 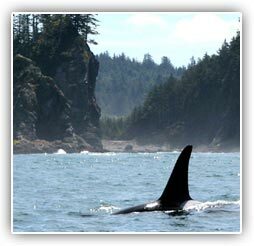 Ocean tours to watch Whales, Sea Lions, Eagles, and more. The ocean always produces breath taking sites. 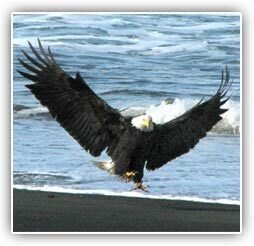 River tours are also incredible with Eagles and abundant wild life. 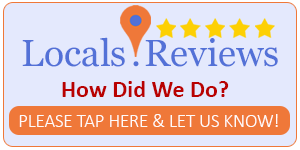 Check out our Rates Page for more information.